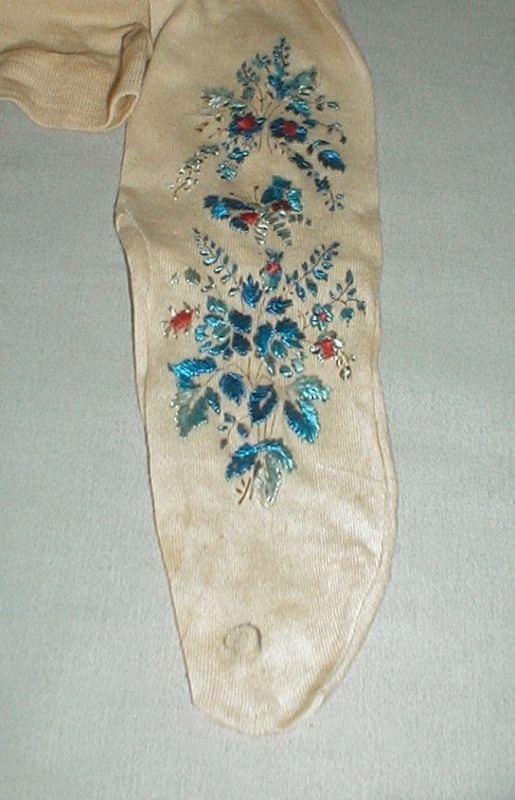 A very pretty pair of embroidered Victorian cotton stockings. 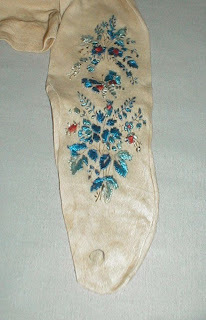 The embroidery has a floral pattern in shades of two tone blue and a touch of red. They are stamped on the toes with a number 9. 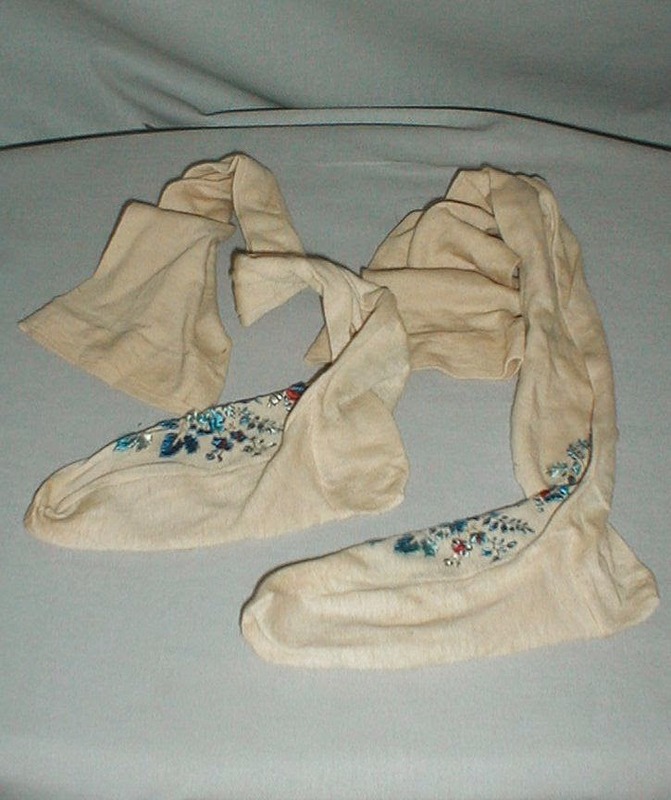 The stockings are in very good condition. There are no holes and just a few small age spots. Length 24 Foot 9 inches. I think seller meant that the overall length is 24 inches and that the foot part is 9". 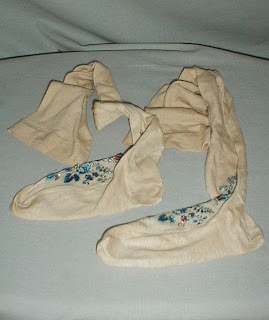 ;-) Based on the embroidery style, I think these are from the 1880's/1890's but I'm really not sure.